For all vacancies, candidates, in general, should have a degree of B.Tech/B.E. from any authorized institute/university. Candidates are required to be an officer of the Central Commandant Govt. or the State Govt. or from the Central Armed of SashastraSeemaBalor Central or State PWD (Public Works Department) or General Reserve Engineering Force or from Military Engineering Services. Candidates must be a regular holder of analogous posts in the parent cadre or department. Should be a holder of Bachelor Degree in (Civil Eng.) from a recognized institute/university. Should have five years of regular service’s experience in the level-10 of the pay matrix. Should have five years’ experience in the execution of civil works. Candidates are required to be an officer of the Indian Police Services on deputation basis or should be a holder of the post of Inspector General of Police in the Central Govt. Or should be an officer of the Central Govt. or State Govt. or in Central Armed Police Force or inSashastraSeemaBal or State Public Works Departments or in General Reserve Engineering Force or Military Engineering Services or in Central. Should be a holder of the analogous posts in the parent cadre on a regular basis. Should have a Bachelor Degree in Civil (Eng.) from a recognized Institute/University. Should have an experience of two years in the pay matrix of Level-13 on regular service. Should have a work experience of 15 years in the execution of civil works. Should be an officer of Central Govt. or State Govt. or from Union Territories or Subordinate or Autonomous Bodies or from Recognized Research Institution or University. Have to be a holder of the analogous posts in the parent cadre or department on a regular basis. Should have 3 years’ regular service experience in the grade of Level-7 or its equivalent in the parent cadre or department. Should have a Bachelor Degree from a recognized university or institute of India. Should have a complete degree on the basic and advance Mountaineering Course from an authorized university or institute. Have to be the practical experience of 3 years along with the active participation in the mountaineering expedition. For more details regarding this post, check the official pdf notification of SashastraSeema Bal. Candidates are required to be an officer of the Central/State Govt. Should be a holder of the analogous post. Should have at least a degree in Civil (Eng.). 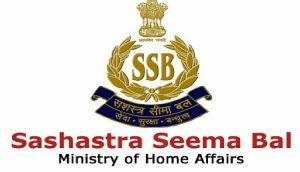 For further information, check the official website of SSB (SashastraSeemaBal). Should be an officer of the Central or State Govt. or of the Central Armed Police Force or of SashastraSeemaBal or of the Military Engineering Service or of the Central or State PWD (Public Works Department) or General Reserve Engineering Force etc. Should have an analogous post in the parent cadre on a regular basis. Should have two years of regular service experience in the pay matrix of level-13. Should have a Bachelor Degree in Civil (Eng.) from a recognized university or institute. Should have 12 years’ experience in the execution of civil works. For more details regarding this post, it is necessary to visit the official website of SSB. Should be an officer under Central or State Govt. or in Union Territory or from Recognized Research Institute or University or from PSU (Public Sector Undertaking) or from Statutory or Autonomous Organization or from the Semi-Govt. Is required to be a holder of the analogous post in the parent cadre or department on a regular basis. Should have five years’ regular service experience in the pay matrix of level-11. Should be a holder of Bachelor Degree in Veterinary Science & and Animal Husbandry from an authorized institute or university along with 10 years’ work experience on the topic of Govt. organization. For more details related to this job, visit and check the official notification of SSB. Is need to be an officer of the Central or State Government or Union Territories or Subordinate or Autonomous Bodies from a recognized research university or institute of India. Must be a holder of the analogous post in the parent cadre or department on a regular basis. Should have a Bachelor Degree from an authorized university or institute. Is required to have a complete degree on the basic and advance mountaineering course from any authorized university or institute of India. Should have 5 years’ practical experience along with the active participation of the mountaineering expedition. For more necessary details about this post, candidates need to check the official pdf notification of SSB (SashastraSeemaBal). Besides these, check other more details of educational qualification from the official notification of SSB Recruitment 2019. The offline application will only be accepted. Step-2: Then, after entering on the home page, look for the link of recruitment. Step-3: Here, click on the recruitment link to entire direct to the recruitment page. Step-4: In this page, candidates can read the article given for the advertisement of SashastraSeemaBal Recruitment 2019. Step-5: Read the entire article to check the eligibility criteria required to fill the application. Step-6: Then, start filing the application. Step-7: Fill all the mandatory information accurately requires to fill the application. Step-8: At last, submit the application prior to the last date.